Being head over heels for silk is not an easy task because no matter how royal or graceful appearance it imparts, it takes a whole lot of thinking and processing, managing and pairing for silk. Silk can give you the right look provided you keep in mind few essentials. You can’t pair anything out of the blue with silk just because you find it trendy. Also, what goes for cotton and other fabrics won’t go with this royal bird. It’s a whole new world of fabrics which requires detailing and a proper sense of style. You can’t simply take it casually lady. Now seeing to the various problems with silk and its blouse, we’ve got the solutions for you here. 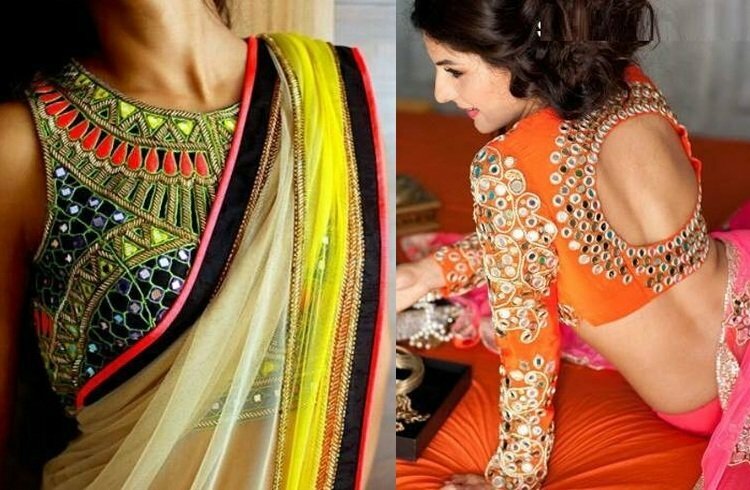 We know how tedious a task it is to decide the right blouse designs for a silk saree. Now, first we’ll provide you some general tips that will be useful and can be applied to many silk sarees. All in all, it will give you the idea of what this fabric demands. The later section is divided into two parts — Neck and Sleeves. This will guide you as per the criteria and you can choose what styles to pick up from and each section and pair them according to your preferences. 1- If you’ve got a plain saree with a plain blouse designs,make sure it has a great border, because it will be a deciding factor for how attractive the saree is gonna look on you. Pay attention to it’s piping and sequin lining to get the right look. 2- For a plain saree, you can also go for a plain blouse in contrast. But make sure, the fabric you choose for it isn’t a dull one since silk has it’s shine and the blouse will be subdued. 3- A plain one can also be paired with a blouse having printed patterns which are in accordance with the colour of the saree. 4- And that’s not it, plain ones can be matched with blouses having embroidery too. If you choose to go with this, make sure you don’t become too loud with the pairing. 5- For sarees with printed patterns, choose blouses which will match both the colour and pattern of the saree to give it a complete, fulfilled look. 6- Using blouses with mirror work, embroidery will also add the IT factor. 7- Never go for a net blouse for a silk saree, it’s a total bizarre. Now as the neck part of the blouse is concerned, one doesn’t have many options with the cut styles when it comes to silk. But if you choose different sleeve styles with a single neck cut or vice versa, you can have many designs to go with all of your collection. It’s old but gold. It can be easily combined with any type of silk you choose and never goes out fashion. If you are looking for a traditional and simple look, it will be the right choice for you. 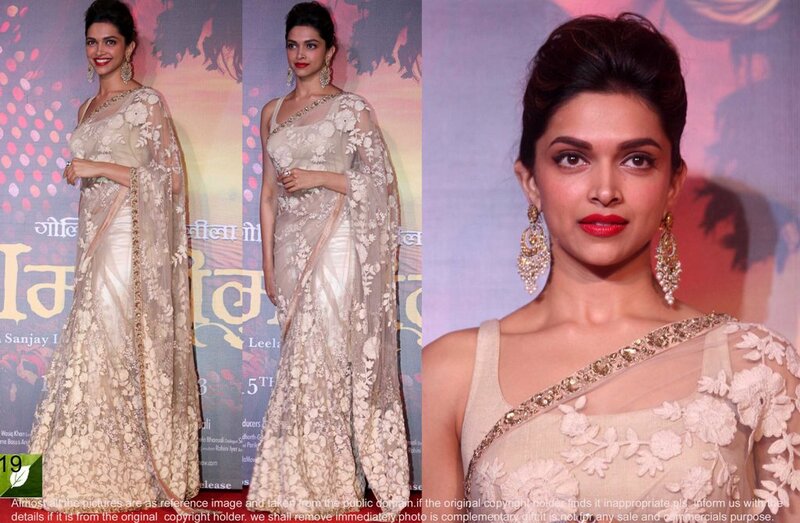 If your saree is plain, then give your round neck a touch of glam by adding a proper border and lining. Go for this look if your blouse has patterns that would mark the border for a curvy V blouse designs. This blouse designs is in trend and adds to the collection of neck styles for silk blouses. It perfectly compliments both your shoulder area and your saree. It is classy and chick and pairs well with the fabric. It is goes well with women of all age. Young or old,you can carry this style and completely own it. It’s another old sample to give you the eminent look one wishes to carry with a silk saree. It’s good for both special occasions and casual wear . It’s a all time hit and you should definitely try this if you’re confused about the rest. It suits major body types and pairs well too. Now, if done right, this part will seal the deal. Since the neck doesn’t have much options,here is where you can try and test with every style possible without much inconvenience. 1- Let’s start with something FULL filling. It was long gone but it’s back. Back with a bang. Using full sleeves as your sleeve option can give you your traditional look and yet be super stylish. Celebrities are going crazy with this and so should you. Pair it with high neck and you’re done. 2- Quarter has got it’s share. Fashion is a loop on repeat and you can be never done with a look completely. Seems like, the Fashionistas are trying to bring back various styles including this. Since the full ones will restrict with your hand accessories, you can try this one to use some. Believe it or not, but sleeves are ruling the industry right now. They are reaching peak levels to provide you with versatility. Nothing is out. It’s all in, ready to outshine every other thing. Half sleeves can be used for formal as well as informal occasions. Whatever is your case, choose it or you’ll lose it. These were never out of fashion and probably will never will be. But, since you have so many options to choose from, choose the ones which aren’t here for long. Short sleeves can be good if you want to drape your saree in South Indian manner. Deepika Padukone has recently been seen rocking this look and one can’t put eyes off her. Do i need to say anymore? Cold shoulder is a new entry in the list and truly deserves to be here. From western wear to saree blouses, it is captured it all. Go with this to feed the chic in you. All these designs can be great and versatile if you decide to mix one with the other and keep changing it from time to time. As far as the back designs are concerned, you can keep them deep, high, with a dori or all buttoned up. Besides this, to change for something new, you can also go according to your mood and have cuts and openings at the back. Though try to keep it minimal. And here you are, all set to grace the floor.